Former "Today" anchor and NBC News correspondent Ann Curry spoke out Wednesday morning about her former co-host Matt Lauer, who was abruptly fired last year following alleged inappropriate sexual behavior. Add Matt Lauer as an interest to stay up to date on the latest Matt Lauer news, video, and analysis from ABC News. In an interview on "CBS This Morning," Curry fielded a handful of very pointed questions. She said she did not want to "do harm" or cause more pain, but she did address the atmosphere at NBC News she said she experienced while working there. "I can tell you that I am not surprised by the allegations," she said of Lauer. "I can [also] say that I would be surprised if many women did not understand that there was a climate of verbal harassment that existed. I think it would be surprising if someone said they didn't see that. It was verbal sexual harassment." Curry added that the movement that is taking place is overdue and has been a long time coming. "We clearly are waking up to a reality and injustice that's occurred for some time," she said. "This is about power and power imbalance where women are not valued as much as men." Ann Curry appears on "CBS This Morning," Jan. 17, 2018. The interview on "CBS This Morning" comes a day after the appearance was teased on Twitter. 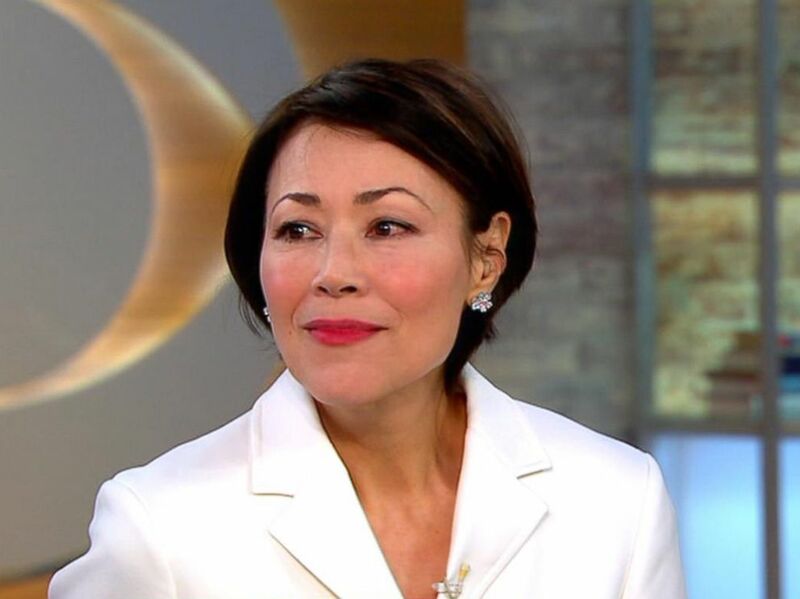 "TOMORROW on @CBSThisMorning: Former 'TODAY' co-anchor @AnnCurry will join us for her *first* TV interview since leaving NBC in 2015," the tweet read. "She'll discuss her upcoming @PBS show and we'll also ask her about the #MeToo movement and the firing of her former colleague Matt Lauer." TOMORROW on @CBSThisMorning: Former "TODAY" co-anchor @AnnCurry will join us for her *first* TV interview since leaving NBC in 2015. Curry left "Today" in 2012 after a year as a co-anchor and 15 years with the show. She eventually left NBC News a few years later and is currently promoting her PBS docuseries, "We'll Meet Again." When Lauer's termination from NBC News was announced in November, Curry wouldn't speak specifically to Lauer, but did tell People magazine, "I'm still really processing it," adding more generally that "we need to move this revolution forward and make our workplaces safe." She also offered support to all women who have come forward with allegations of sexual misconduct. "I admire the women who have been willing to speak up both anonymously and on the record. Those women need to keep their jobs, and all women need to be able to work, to be able to thrive without fear. This kind of behavior exists across industries, and it is so long overdue for it to stop," she said. "This is a moment when we all need to be a beacon of light for those women, for all women and for ourselves." Lauer, 60, was fired late last year after the network received "a detailed complaint from a colleague" involving "inappropriate sexual behavior in the workplace by Matt Lauer." As more stories of harassment allegedly involving Lauer began to circulate, he spoke out later in November, saying, "There are no words to express my sorrow and regret for the pain I have caused others by words and actions. To the people I have hurt, I am truly sorry. As I am writing this, I realize the depth of the damage and disappointment I have left behind at home and at NBC." He continued, "Some of what is being said about me is untrue or mischaracterized, but there is enough truth in these stories to make me feel embarrassed and ashamed. I regret that my shame is now shared by the people I cherish dearly. Repairing the damage will take a lot of time and soul-searching, and I'm committed to beginning that effort. It is now my full-time job." ABC News' Lesley Messer contributed to this report.